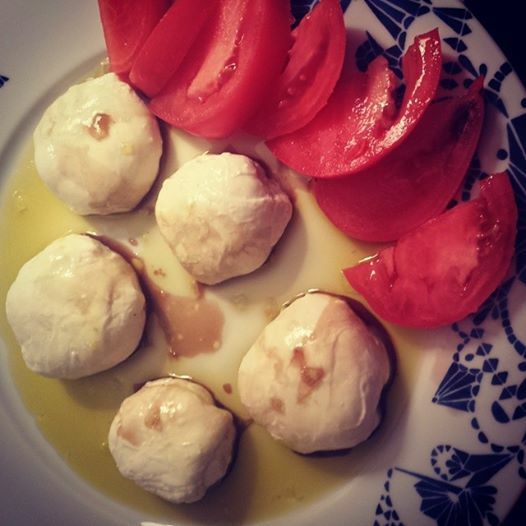 Have you and your friends ever wanted to learn how to make the best mozzarella in town? Lucky for you, I’m offering a cheese making gift certificate for the remainder of the holidays! Get your friends and family on board, schedule a time and a place, and let’s get our hands deep in the curd! The gift certificate is worth one private mozzarella making lesson for one to five pairs of cheese making hands. The lesson includes basic cheese making science, how to source the best ingredients, troubleshooting, and a mozzarella making kit. The class reviews mozzarella making from milk to curd, covering everything from a quick acid set recipe, to a longer fermented curd recipe. And there will be lots of stretching! Lesson time runs three to four hours. To schedule your cheese making lesson, you can contact Jessica Sennett, urban cheese maker. We can schedule this great event at a location of choice within Manhattan or Brooklyn! The cost of the class is $250 plus material costs. The class fee includes complementary bottles of wine. Other cheese making classes are offered, feel free to ask and coordinate a different lesson plan with Jessica! Tags: Brooklyn, Burrata, cheese event. Bookmark the permalink. Previous post ← Cheese Lovers Unite! My new company, Cheese Grotto, has a KICKSTARTER!